Auckland, 8 July 2015 - CBRE welcomes leading Auckland agent Ben Pilley​ as Associate Director to the Industrial and Logistics Services team, based in the South Auckland office. Ben joins CBRE from JLL, where he spent almost six years at its Auckland-based industrial office. He was one of JLL’s most successful industrial operators in New Zealand and was named JLL Rookie of the Year in 2010. 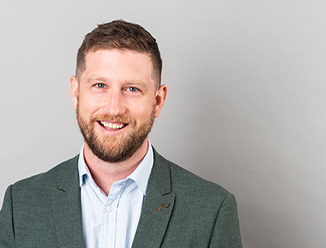 With over 10 years' experience in corporate sales specialising in blue chip key accounts within multinational companies, Ben has built key relationships with some of New Zealand’s largest fast moving consumable based companies. He has transacted some of the markets largest industrial sales and leasing transactions and delivers outstanding results for his clients.